Post Brexit and Donald Trump’s election as US President, the rhetoric against free-trade and economic globalisation in the West has become stronger. The recent announcement of Trump that the US will impose higher tariff rates of 25% and 10% on steel and aluminium respectively – this was done by invoking the national security exception (Article XXI of GATT) – has added fuel to the fire. This comes at a time when the multilateral trading regime, the World Trade Organisation (WTO), is severely crippled to take forward the trade liberalisation programme because of disagreements between its member states. To revive stalled multilateral trade negotiations, India is hosting a mini WTO ministerial meeting on March 19 and March 20. While this effort is praiseworthy, any attempt by India to revive the WTO system has to be accompanied by tackling misgivings that are often put forth and raised in India. The most common argument advanced against the WTO is that it erodes India’s sovereign economic space to act in furtherance of public interest. B.S. Chimni, India’s leading international lawyer, has critiqued the WTO and described it as a part of the emerging global imperialist state. Broadly speaking, Chimni’s critique, as it regards secession of the economic space, is based on two factors. 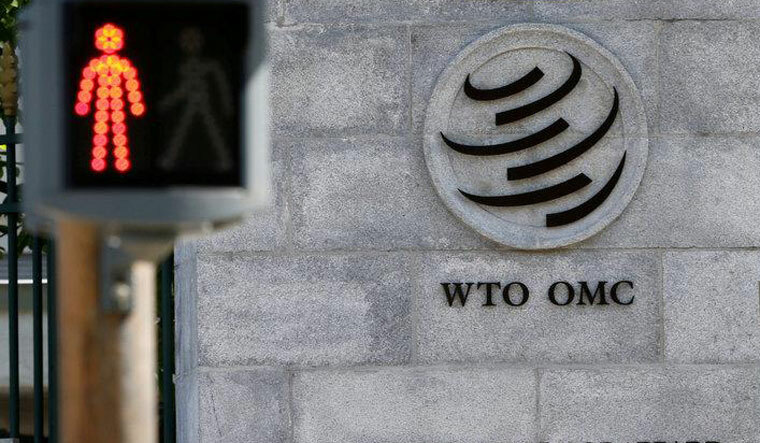 First, WTO imposes onerous obligations on developing countries like India. Chimni gives the example of developing countries like India adopting product patents on drugs in order to comply with their WTO obligations contained in the Trade Related Aspects of Intellectual Property Rights (TRIPS) agreement. Arguably, a product patent regime on drugs would make medicines expensive making them unaffordable for many people. “Text book cases of pharmaceutical patents serving as strict monopolies that lead to significant increase in prices must be understood with appropriate caveats and caution in the Indian context. This is not to deny that there could be a steady or significant price increase in specific cases in the future…However, to assume that patents in medical technologies, and particularly pharmaceutical patents, are always overpriced, or that there are no mechanisms to deal with the issues of pricing of patented drugs… is a mistaken assumption”. In other words, even if prices increase, there are regulatory tools available in the Indian patent law such as issuance of compulsory licenses that could address this problem as it happened in the case of Natco v Bayer. Besides, India has taken full advantage of the WTO flexibilities to enact a patent law that does not allow evergreening of patents on drugs (i.e. pharmaceutical companies extending their patent protection through minor incremental improvements that scientifically do not qualify as an invention). This has been judicially attested in the case Novartis v Union of India. The fact that no country has challenged the Indian patent law in the WTO’s dispute settlement body (DSB) for last 13 years has made the concern of a WTO challenge to Indian patent laws increasingly irrelevant. An integral part of the same WTO agreement, is the Doha declaration on TRIPS and public health that clearly underlines the importance of accessibility of medicines. Further, the recent amendment of the TRIPS agreement has secured developing countries a legal pathway to access affordable medicines. Second, Chimni argues that WTO’s compulsory DSB backed by an ‘effective system of sanctions’ acts as a kind of threat for developing countries and LDCs to comply with WTO obligations. However, the statistics on WTO disputes shows that from 1995 till 2016, no case has been ever brought against a least developed country (LDC). If we leave aside bigger and emerging developing countries like Brazil, China, India and Mexico, only 115 complaints have been brought against all other developing countries out of total 518 i.e. around 22% only. Obviously, not all these 115 complaints were brought by developed countries. So, the argument that WTO’s compulsory DSB will be used as coercive tool by the developed world to enforce WTO rules is overstated. In fact, what is often ignored is the fact that developing countries like India have used the same DSB to hold countries like the US accountable under the same WTO rules. India has used the dispute settlement body 23 times to safeguard its interest and its complaints have often been upheld against powerful developed countries like the US. Other countries have also used the DSB to bring US to the book. Just as an example – 49 anti-dumping disputes have been brought against the US out of a total of 114 anti-dumping cases. This is very significant when compared to the fact that India’s anti-dumping measures have been challenged in the WTO only four times despite India being one of the highest users of anti-dumping law like the US. The other notable instance of developing countries using DSB against the US is of a tiny Caribbean nation, Antigua and Barbuda, getting authorisation by the DSB to impose trade sanctions against the US because the later failed to comply with the DSB ruling. Likewise, Brazil was also authorised by the WTO to retaliate against the US because of the failure of the US to comply with the DSB ruling. In short, the WTO is not a one-way street as it is often made out to be. This increasing use of DSB by developing countries against the US has led to US trying to paralyse the system. If the WTO was intended to be part of a global imperialist state, then why is the US undermining it? True, India has also been dragged to the DSB 24 times by other WTO member countries including the US and the EU. However, that’s a logical outcome of an enforceable rule-based trading system. It is also true that India had to make certain changes in its policy as a result of losing certain WTO disputes. India-Autos case is a good example, where due to an adverse WTO ruling; India had to amend its auto policy on indigenisation. Apprehensions were expressed that this would result into a general decline in the auto industry. However, the evidence suggests otherwise – India has emerged as a major player in the global automobile market. Similarly, in the much talked about India-US Solar panel case, the DSB fully respected India’s goal to move towards clean energy. However, it was held, and rightly so, that the inequitable costs of pursuing these goals should not be unilaterally transferred to other WTO member countries. In other words, India could continue moving towards its goal of clean energy by tweaking the means to non-trade distorting. A major argument Chimni advances is that one needs to understand the ‘class’ character of the WTO. He argues that the Transnational Capitalist Class (TCC) is the dominant force driving institutions like the WTO. Broadly, this TCC consists of Transnational Corporations (TNC), globalising state, globalising professionals including academics, merchants and media. It’s argued that TCC ‘represents its interests as universal interests’ that collide with the interests of the subaltern class. However, this bourgeoisie versus proletariat kind of imagery does not explain many complexities of the modern trading system. To understand this, let us take the example of US imposing higher tariff rates on steel to show massive contradictions between different members of the TCC. Although, Chimni, in passing, concedes that there may be some contradictions between the TCC, these inconsistencies need to be carefully and fully understood. A higher tariff on steel in the US will make it difficult for an Indian capitalist to export steel to the US (it is estimated that India will suffer a $300 million loss of steel exports). Further, it would lead to a direct conflict between the US government and the Indian government. Additionally, those American capitalists who use steel as an intermediary product, say in the construction sector, would see their cost of production go up. Thus, their interests will directly collide with that of the American steel capitalist and the American government. The TCC versus subaltern kind of narrative also ignores the fact that often the interests of capitalists and workers are tied together. Reduced exports of India’s steel to US will also adversely affect the workers employed, directly and indirectly, by the steel industry. Similarly, a higher steel tariff in the US would adversely impact ordinary workers employed in other sectors in the US that use steel as an intermediary product as Jared Bernstein and Dean Baker point out. There is evidence from India to show that erecting trade barriers on intermediary products to protect a certain industry (capitalist) adversely impacts not just other industries (capitalists) in the same country but also leads to job losses affecting the subaltern class. Worse, India or other countries could start retaliating against the US by say imposing higher tariffs on US exports to India, which will not only hurt the US capitalist and US workers but also Indian people who will now have to pay more for these products. This alignment of interests of the TCC and the subaltern is closer and stronger in labour intensive sectors such as apparel that has immense job-creation and export potential. As the Economic Survey 2016-17 discusses, if India’s exports of labour-intensive sectors like clothes and shoes increase it will benefit not just the capitalist but also the numerous low skilled workers engaged in that sector including women. The interests of the TCC and the subalterns are mish-mashed much more deeply when it comes to ‘global supply chains’ through which bulk of international trade takes place today. WTO rules become critical for such trade to ensure that everyone holds up to their end of the bargain. Therefore, while adopting a people-centric approach to the WTO is welcome, couching it in the ‘class-struggle’ vocabulary is an oversimplification. Another myth in India about the WTO is that its rules come in way of India fully attaining the goal of food security. This story started developing after India adopted the National Food Security Act (NFSA) in 2013. The Indian food security programme has two components. First, procuring food from the farmers at administered prices (or minimum support prices). Second, distributing this food to consumers through state-run ration shops. The WTO rules allow for procurement, stockpiling and distribution for food security purposes. However, under WTO rules, procurement at administered (not market) prices is trade-distorting if it exceeds 10% of the value of production based on the reference price of 1986-88 subject to any other commitments. A full rolling out of the FSA, aiming to cover 2/3rd of Indian population, will require massive procurement; resultantly India fears that it will breach the 10% subsidy cap. Thus, India has been arguing that WTO rules be changed to ensure that subsidies spent on procurement of food for food security purposes are not counted as trade distorting. However, many other countries including developing countries like Pakistan do not support India’s stand on food security. These countries fear that India may dump this subsidised procured food in the international market leading to collapse of their domestic food prices and adversely affecting their own farmers (a classic case of conflicts between subalterns of India and Pakistan that ‘class’ analysis framework does not quite capture). India needs to look for alternative solutions within the existing WTO rules. For example, WTO rules do not prohibit countries from giving direct income support to farmers provided it is not linked to production. Thus, the money that India spends on procuring food directly from farmers can be given to them as cash-transfers de-linked to production. Or a combination of public-procurement and cash-transfers within the 10% subsidy cap could also be a solution. Similarly, a system of cash-transfers could be used to empower consumers who could buy food of their choice from any shop of their choice. There is anger against economic globalisation in the West. Critics of economic globalisation in India are keen to piggyback on this western anger. What is ignored is that this western anger has arisen because the centre of economic activity is shifting from North America and Western Europe to Asia and the global economy is getting more democratised. IMF data clearly shows this – the share of the G7 group—Canada, France, Germany, Italy, Japan, the UK and US – in the global GDP has fallen from half in 1990 to 30.9% in 2016. On other hand, India’s share in the global GDP has doubled to an estimated 7.3% in 2016 from 3.6% in 1990. Moreover, the share of developing countries in the global trade has doubled since 1985, increasing from 33% in 2000 to 48% in 2015. This period has also witnessed a massive reduction in the number of people living in extreme poverty. Empirical studies have shown that trade liberalisation has had a positive impact on poverty reduction in India. Of course, trade liberalisation is no magic bullet, but it could have a significant dent on poverty if accompanied by right domestic policies. It is also true that some aspects of WTO laws – like using the reference period of 1986-88 to calculate agricultural subsidies in 2018 – are biased against developing countries. Critiques by Chimni and by non-Left Indian lawyers are critical to help work towards fixing the flaws. Chimni himself recognises that greater market access to goods of developing countries or liberalisation of the labour market in the West will help developing countries. However, when, in the same breadth, WTO is described as part of a neo-imperial project, the space for constructive engagement with the system shrinks. It damages WTO’s emancipatory potential especially for subaltern states (to borrow Chimni’s vocabulary). There is no other trade forum that gives voice to these subaltern states. Therefore, a rule based multilateral trading regime based on principles of non-discrimination, uniformly applied through an effective dispute resolution mechanism is critical for developing countries like India. The WTO system needs to be strengthened and not scorned especially in the view of rising protectionism, unilateralism and mercantilist tendencies around the globe today. 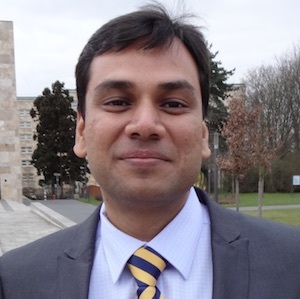 Prabhash Ranjan is assistant professor of law, South Asian University. Views are personal.